Craig A. Steele is a shareholder in the Public Law Department at Richards, Watson & Gershon and serves on the Firm’s Management Committee. Mr. Steele has over 25 years of experience practicing local government law and has worked in government and politics for over 30 years. Mr. Steele is the City Attorney for the Cities of Highland, Monrovia, and Seal Beach, and serves as Counsel to the Successor Agency to the redevelopment agencies in those cities and also the former redevelopment agency for the City of Indio. Mr. Steele also serves as General Counsel to the Los Angeles County Children and Families First Proposition 10 Commission (“First 5 LA”). He served as Agoura Hills City Attorney from 1999-2012 and Interim CEO of First 5 LA throughout 2012. A former political campaign manager, Mr. Steele is an expert in elections, voting and government ethics laws and has frequently been asked to speak and teach about those subjects by the League of California Cities and other organizations. Mr. Steele concentrates on the representation of public agency clients in a wide range of government law areas and has spoken and written extensively on open government issues including Campaign Finance Regulation, Lobbying, Public Records, Open Meeting Laws and Conflicts of Interest Law. His article “The Rules on Lobbying: What Every Local Official Should Know” was published in the January, 2010 issue of Western City Magazine. He is a past member of the FPPC Committee of the League of California Cities’ City Attorneys Department and also served on a task force of the Institute for Local Government drafting a resources book on open space acquisition by cities. Mr. Steele is a past President of the Board of Directors of the Community Center of La Cañada Flintridge, Vice President and a member of the Board of Directors of the Spartan Boosters, and served for several years as Chair of the La Cañada Unified School District’s Bond Oversight Committee. He was also an adjunct professor in the USC Price School of Public Policy in 2011 and 2012. He is a frequent speaker to classes at the USC Gould School of Law where his wife, Susan Wright, is Professor of Lawyering Skills and Assistant Director of Academic Support. As a City Attorney, Mr. Steele has broad experience with the legal issues that are important to cities of all types, structures, geography and characteristics. He is City Attorney for a charter city and two general law cities, a full-service city, a contract city and a combination. Mr. Steele works with cities that provide police and fire services, utilities and independent libraries, as well as cities that contract for such services. He serves in a coastal city, a foothill city with a wilderness preserve, and an inland city next to a developing airport. In the land use area, Mr. Steele has worked on a range of projects ranging from large (7,000+ planned units) residential subdivisions to small mixed use projects in historic downtowns. He has authored unique ordinances on such subjects as picketing in residential areas and food truck regulation. Mr. Steele also is the author of dozens of local ballot measures, including open space preservation, local taxes and bond measures, fireworks regulation and transportation issues. Public agencies consult with him at all stages of the process of ballot measure process, from polling and strategic decisions, to drafting the measure, to advising about processes and permissible public agency involvement in ballot measure activities. Many entities with “in-house” City Attorneys and General Counsel have consulted with Mr. Steele on elections and voting issues, including the cities of Compton, Redondo Beach, Hawthorne, Pasadena, Fremont, San Luis Obispo, and the San Diego Association Governments. In the most recent election cycles, Mr. Steele advised clients on issues as significant and diverse as the Los Angeles County and San Diego County sales tax proposals to fund transportation projects, marijuana taxes and regulations throughout the State, local land use measures on the Central Coast, and districting measures in Imperial, San Bernardino and Riverside Counties. 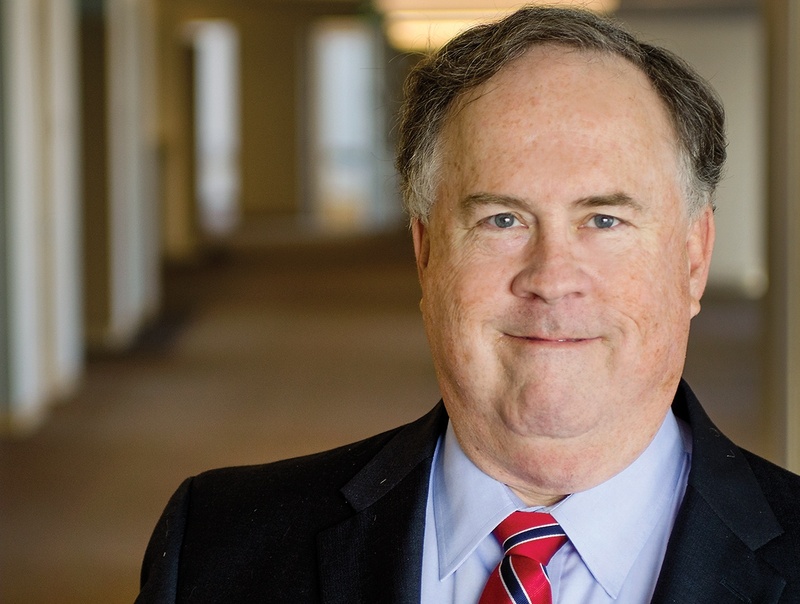 He serves as an independent investigator on campaign finance law issues for Ventura County, and has advised candidates for local, state, and federal offices and other private interests on a variety of election and political law matters. Most recently, Mr. Steele has advised numerous public entities regarding voting rights and district election issues. Prior to joining Richards, Watson & Gershon out of law school in 1992, Mr. Steele was a political campaign consultant and public affairs professional at Cerrell Associates, Inc., one of the nation’s most prominent public affairs firms. He worked on campaigns for state, local and federal offices, including two presidential campaigns. He worked as advance staff for political figures such as U.S. Senators Albert Gore, Jr., Alan Simpson and Lloyd Bentsen, Assembly Speaker Willie Brown, Los Angeles Mayor Tom Bradley and Honolulu Mayor Frank Fasi. He also worked as advance staff in connection with events such as the 1984 Olympics and the Los Angeles visits of Pope John Paul II in 1987 and His Holiness Vazken I of the Armenian Apostolic Church in 1988. First 5 LA – Interim CEO Appointment (2012). As longtime counsel to First 5 LA, a Los Angeles County public agency that invests tobacco tax dollars for the benefit of children aged 0-5 and their families, Craig advised the Board and agency through the departure of the agency’s CEO. After the separation, the Board asked Craig to serve as Interim CEO while a new CEO was recruitment. He served in that position, running an agency with over 100 employees and an annual budget in excess of $170 million, for a year while also coordinating the search for a permanent CEO. City of Highland – Change to City Council Districts. In response to a claim of racially-polarized voting patterns under the California Voting Rights Act (“CVRA”), Craig advised the City throughout the process of creating a district-based election system. This work included drafting a ballot measure seeking voter approval of the district system, guiding the City through the public process to create districts, and advising the City Clerk and City Council throughout the first district-based elections. City of Monrovia – Opening of Hillside Wilderness Preserve. This nearly 20-year project created one of Southern California’s largest publicly-owned and publicly-accessible wilderness preserves in the foothills of Monrovia. Craig’s work on this started with drafting the initial ballot measure that created the General Plan designation and Specific Plans for the area, and then advising the City throughout the cooperative acquisition of the Preserve property from various private owners using a combination of grant funds and the proceeds of a City special tax. He helped to draft and implement a property management plan that survived a CEQA challenge and limited opposition from local residents. Craig then participated in the process of the City acquiring the final easements and accesses needed to facilitate public access and drafting public access and use rules. The Preserve opened to the public in 2017.